A free continental breakfast will be provided. This annual conference, open to parents and professionals, features experts on issues important to families raising children with special needs. Representatives from federal, state and local agencies are available to assist families. 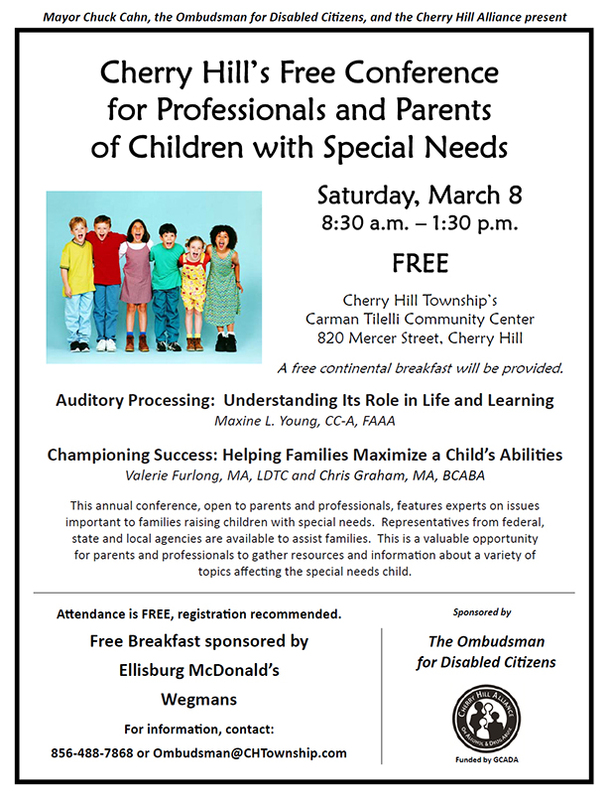 This is a valuable opportunity for parents and professionals to gather resources and information about a variety of topics affecting the special needs child. Attendance is FREE, registration recommended. Sponsored by: The Ombudsman for Disabled Citizens and the Cherry Hill Alliance on Alcohol & Drug Abuse (Funded by GCADA).